In Greek legend, King Minos imprisoned Daedalus and his son Icarus on the island of Crete as punishment for assisting the escape of the hero Theseus. A master craftsman, Daedalus constructed wings of wax and feathers to help the pair escape. Though warned by his father not to fly too close to the sun, Icarus cannot resist the temptation and plunges to his death when his wings melt. 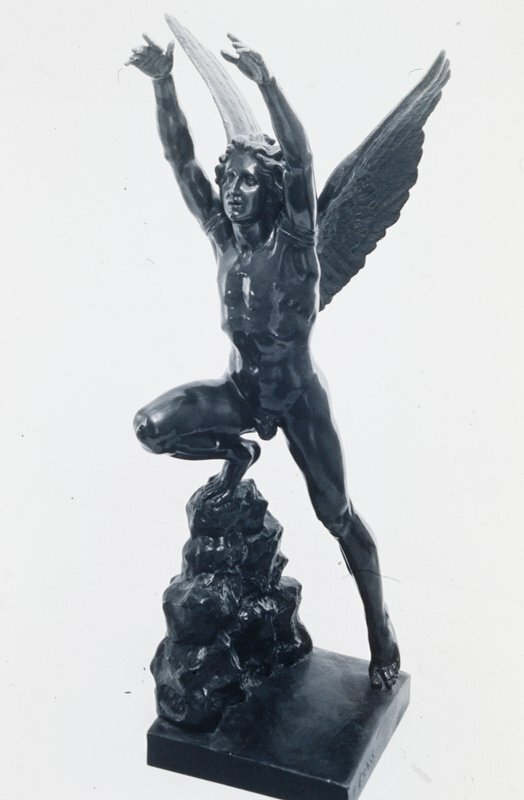 In this reduction of the life-sized original for the Paris Salon of 1831, Grasse depicts the young man at the moment of takeoff, arms straining upward and wings poised for flight.